I have always found stories told from the female perspective to be intriguing, thoughtful and full of nuance that you don’t always get from stories with male protagonists. 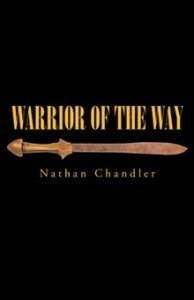 In my book “Warrior of the Way” my main protagonist is male but I tried to build thoughtfulness and nuance around the character Pasha Nuvahli like you might see in a female driven narrative. Pasha is also influenced by many strong female characters who give him perspective and a new direction to follow when he’s feeling lost. Stories told through the lens of female protagonists also give readers like me a window into female lives and issues they face which we might be exposed to otherwise. But then some might ask; should writers write female driven narratives for the sole purpose of convincing men of a woman’s worth or should writers write stories that are simply good and then expect a diverse audience to follow? I don’t think of it as an either or choice. In reality it should be a mixture of both. Writers should write more stories with female protagonists and focus on writing a good story that can also inform those who read it. I strongly believe in writing stories that leave a lesson or moral if you will for the reader. might help them get through whatever they might have going on. minority readers and some of them like the fantasy genre. I don’t think reaching that market segment is as hard as some in the industry seem to think. People want stories with characters who are lively and different in worlds they haven’t seen before. The old European state fantasy model is a good one, and I enjoy stories like that but there needs to be more available than just that kind of fantasy story. There is a genuine hunger for more fantasy stories reflecting more diverse people and I encourage writers out there to meet that need.